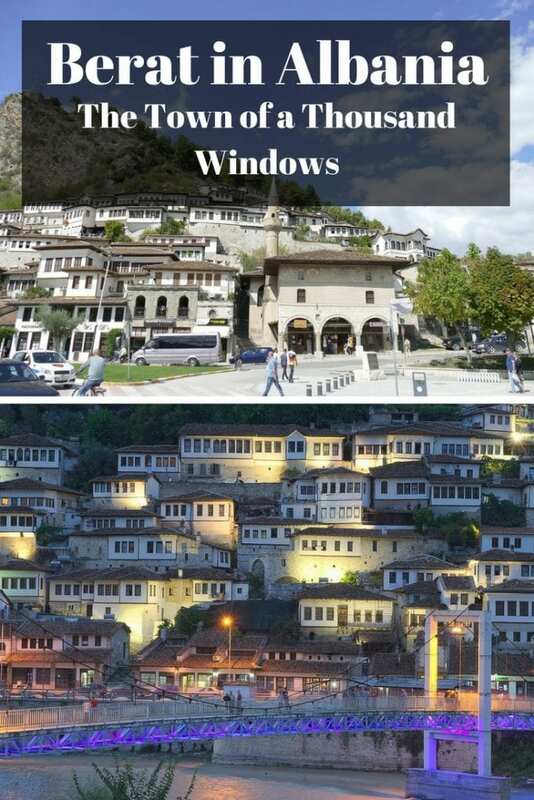 Berat, Albania is a UNESCO World Heritage Site, known as the Town of a Thousand Windows. 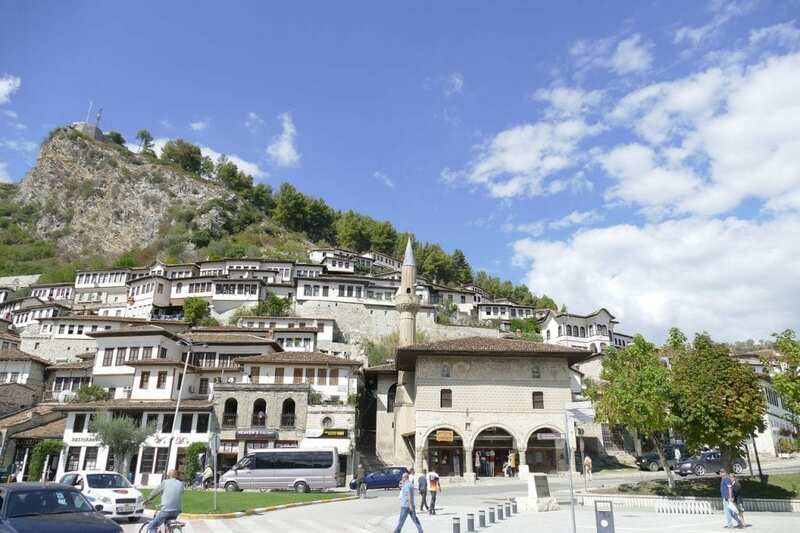 Visit Berat on a day trip from Tirana or stay for a night or two. This travel guide shows you how. Berat might not be quite the hidden gem it once was, but surely it deserves more attention than it gets? Boasting an impressive fortress, and a UNESCO world heritage historic centre, the Ottoman architecture is uniquely preserved. Beautiful houses range up and down the slopes of the surrounding hills of Berat. It becomes immediately apparent how the Town of a Thousand Windows earned its name! Visiting Berat in Albania is a popular day trip from Tirana, but spend longer there if you can. 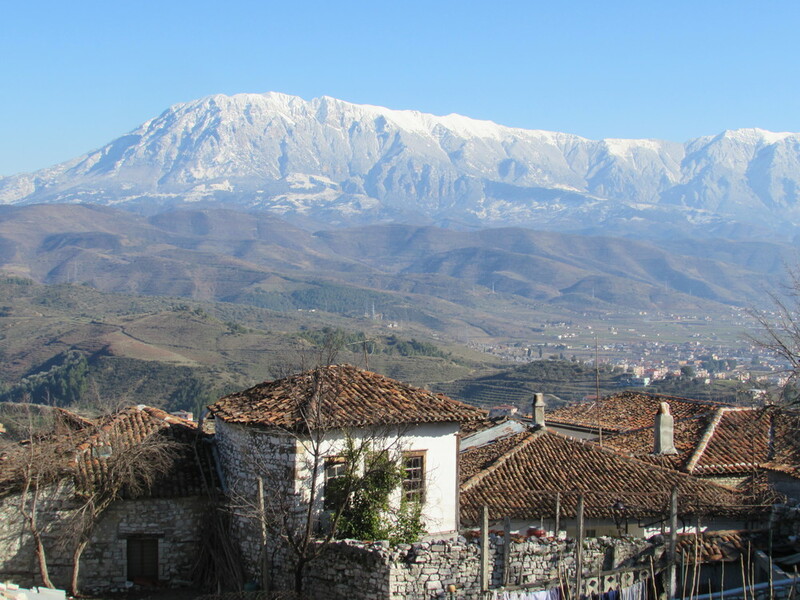 It is a fascinating part of Albania, and one that deserves all the time that you can give it. Here's some information about visiting the UNESCO site of Berat in Albania to help plan your own trip there. I visited Berat in Albania on a day trip from Tirana. It took about two hours to reach Berat from Tirana, and the route all along was brand new, sealed, high quality road. I had chosen to take a private tour to Berat, but you can just as easily do it yourself by taking local buses to Berat from Tirana. Whilst I enjoyed my time there, and got to see the main highlights with a guide leading the way, I feel that spending more time in Berat would have been better. If I were to plan the trip again, I would stay overnight in either the town, or even in the castle itself. If you are planning a trip to see Berat in Albania, it might be worth keeping this in mind. 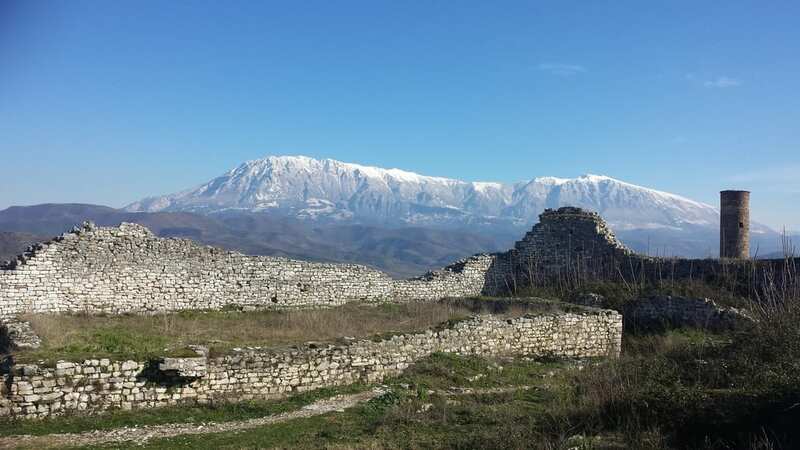 Berat Castle, or Kalaja Castle, sits high on a rocky outcrop, overlooking the ‘new' town of Berat, as well as the historic centres of Mangalemi and Gorica. As I took a tour to see the castle, I was driven to the top. For people staying in Berat, it is advisable to take a taxi to the castle. Then either walk down from there, or arrange a ride back. Berat castle is a large complex, and part of it is still inhabited. The line between what is a part of the archaeological site, and someone's back garden can be blurred at times! There are also several restaurants and cafes here serving tasty local dishes at very affordable prices, along with one or two places to stay. There are several highlights which shouldn't be missed when visiting Berat castle in Albania. The first, is Onufri Museum, which has some very impressive icons which thankfully survived the atheist purges of the communist years in Albania. The second, is the Inner Fortress area, from where you can enjoy stunning views in every direction. At times, it felt like being in a scene from the Lord of the Rings! I enjoyed my time walking around the walls, and I was very impressed with how clean and tidy everything was inside the castle of Berat, Albania. 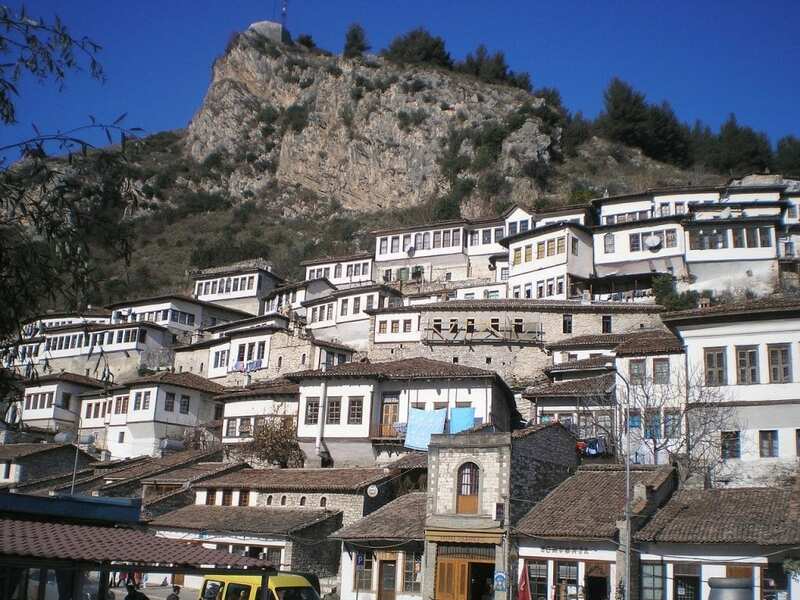 There are two historic lower town areas of Berat. Mangalem, which was the traditionally Muslim quarter and is positioned at the bottom of the same hill as the castle, and Gorica, which is the historic area across the river from the castle. Gorica is the most recognisable of the two, and is known as the ‘town of a thousand windows'. The views from the top of the castle out onto Gorica are amazing. It really does give the feeling of having stepped back in time. Descending to river level, I walked through both quarters. Mangalem had a number of significant buildings, such as the Sultan’s Mosque, which is one of the oldest in Albania. Over the river, the narrow cobbled streets of Gorica were perfect for aimless wandering, although there was not much to see in terms of individually significant buildings. 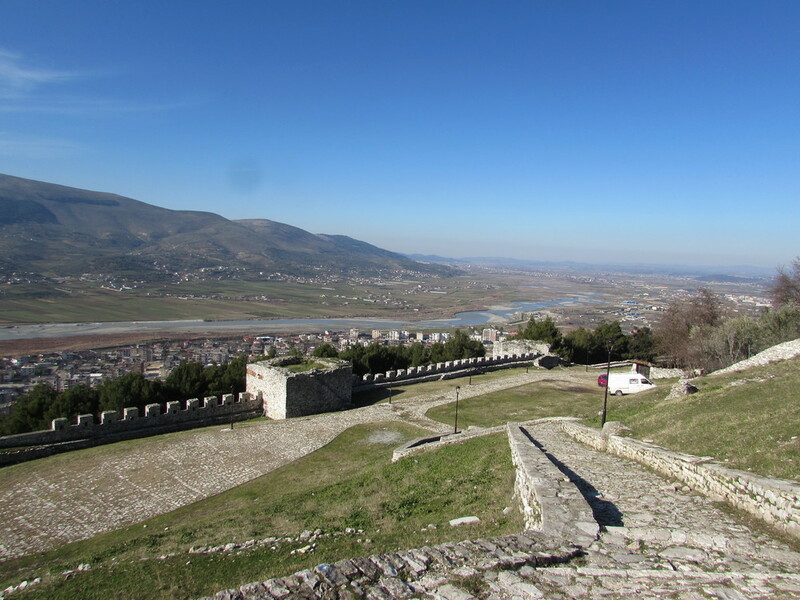 As mentioned, Berat can be visited on a day trip from Tirana, which is the option I chose. If I had a little more time in Albania though, I would definitely have planned the route differently, and stayed overnight either in the castle itself, or in the town of Berat below. Hopefully, I will be passing through this area again, as I have a cycling trip from Greece to England planned for this summer. 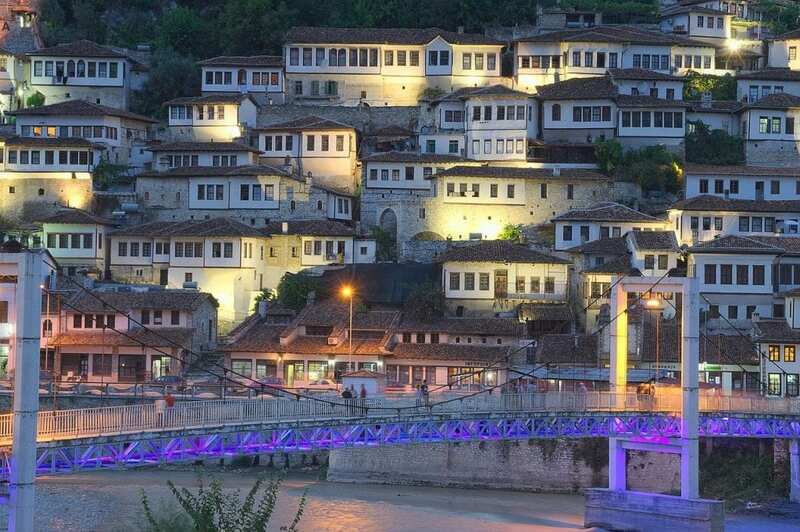 Visiting Berat will certainly be on the list. I think I will give cycling to the top of the castle a miss though! Would you like more information on other places to visit in Albania? These travel guides may be of some use.